San Jose State University, which is located about 50 miles south of San Francisco in Silicon valley, enrolls over 30,000 students. SJSU offers a variety of liberal arts and pre-professional programs and lists former baseball commissioner Peter Ueberroth, and singer Stevie Nicks as alumni. Describe the type of student who should not attend San Jose State University and explain why. What is a typical San Jose State University student like? Describe the type of person that should attend San Jose State University. What are the top 3 reasons someone should attend San Jose State University? What was a typical San Jose State University student like in high school? Describe the type of person that should attend San Jose State University. To enrich the lives of its students, to transmit knowledge to its students along with the necessary skills for applying it in the service of our society, and to expand the base of knowledge through research and scholarship. 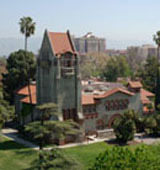 Founded in 1857, San JosÃ© State is the oldest public institution of higher education on the West Coast. From its beginnings as a normal school to train teachers for the developing frontier, SJSU has matured into a metropolitan university offering more than 134 bachelor's and master's degrees with 110 concentrations. What are the top 3 things that students do for fun at San Jose State University? The top 3 things students do for fun at San Jose State University are: go to college events, hang out with other friends, join clubs and spend time there. Campus housing is available for undergraduates. Housing deposit : $600.00. Housing deposit is refundable in full if student does not enroll.. Freshman allowed to have car. No pets. The average student pays $11,138 for tuition, fees, and other expenses, after grants and scholarships. Total stated tuition is $5,472, in-state and on-campus, before financial aid. 48% of students graduated in six years. The typical (median) early career salary of San Jose State University graduates is $50,500, according to Payscale. San Jose State University participates in the NCAA Division I-A for college athletics. Want more info about San Jose State University? Get free advice from education experts and Noodle community members. How is the SJSU MBA program? Does a MBA (with elective in MIS) come under a STEM degree? Also, what are the job opportunities for MBA graduates from SJSU? San Jose State University has two major MBA tracks, an early career option and a more traditional, professional option.